The significance of reach in boxing goes way back to the early beginnings of the sport. 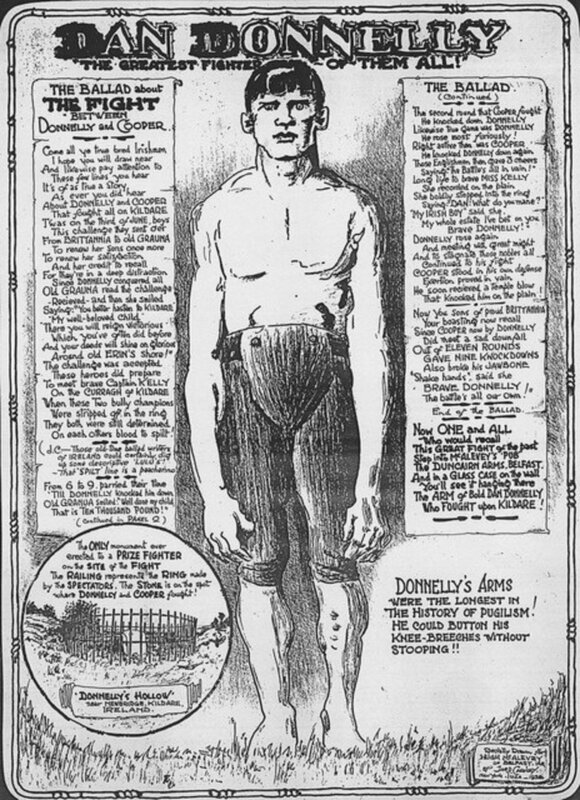 Legend has it that Dan Donnelly, one of the pioneers in professional boxing and the first Irish-born heavyweight champion who stood at only 6'0", had the longest arms in boxing history and could literally touch his knees without bending down. It was believed that this contributed greatly to this undefeated boxer's success in the ring. Ape index measures your arm span relative to your height. A common method of calculation is having the height subtracted from the arm span. Normally, the average reach of a person usually correlates with his or her height which gives a neutral size ratio. However, most boxers have an arm span that is significantly longer than their height. The average reach of a boxer is usually 2.5” longer than a normal man his height giving most boxers a positive ape index of 2.5". This is not to say boxing increases one’s reach. It just happens that longer armed humans have an advantage in boxing and hence tend to become boxers, but this is not absolute. 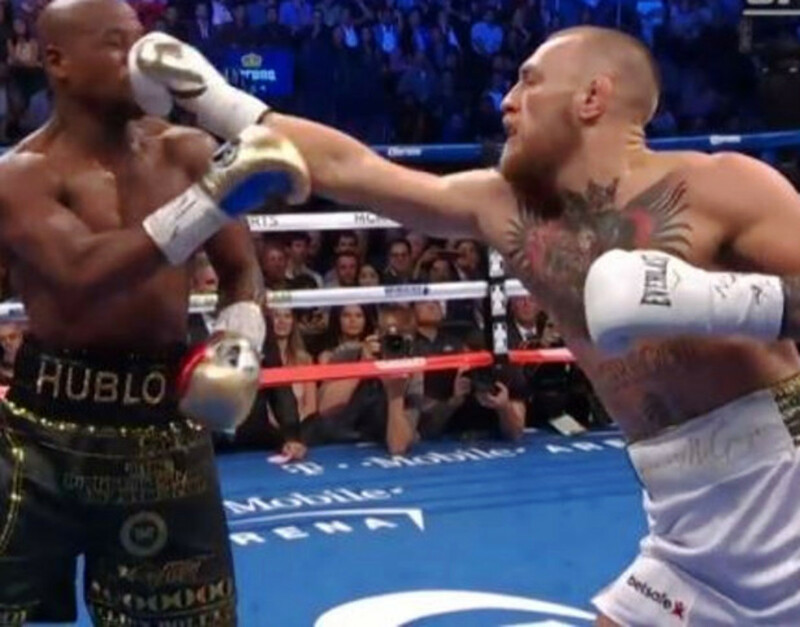 You don’t have to be a rocket scientist to appreciate the importance of reach or arm span in boxing. Basically, it allows you to stay on the outside and pepper your opponent with jabs. It is an advantage both offensively and defensively because a long jab, when used properly, can set up attacks and keep an aggressive opponent at bay. It comes as no surprise that a good percentage of the best fighters in history have enjoyed a significant reach advantage over most of their opponents. Of course, there are exceptions like Mike Tyson and Rocky Marciano who were so good at fighting on the inside that their reach disadvantage didn’t affect them that much. It's one thing having a long reach and another thing being able to make full use of it. At 6'3", Bryant Jennings has an unbelievable reach of 84". His ape index is a whopping +9 inches. He has a reach advantage over heavyweight champions Anthony Joshua and Deontay Wilder despite being significantly shorter. Unfortunately, he wasn't able to take full advantage of his reach when it mattered the most against Wladimir Klitschko. Being tall usually comes with a long reach. It was believed that one of the tallest men in the history of boxing, Ewart Potgieter, who stood at 7’2”, had a whopping 94” reach. However, this is not always the case. A good example is Canadian super heavyweight boxer, Jean-François Bergeron, who despite standing at 6’5” has the average reach of a 6’1” man. Bergeron has a negative ape index of 4 inches. There are also cases of short boxers with an extraordinary reach like Jimmy Bivins who was rumoured to have a 79” reach despite being only 5’9” tall. Below are 15 champions with the most impressive reach to ever step in the ring. Sony Liston: 6'0.5", 84", +11.5"
Hasim Rahman: 6'2", 82", +8"
Steve Cunningham: 6'3", 83", +8"
James Douglas : 6'3.5", 83",+7.5"
Lennox Lewis: 6'5", 84", +7"
Primo Carnera: 6'6", 85", +7"
Sam Langford: 5'7.5", 74", +6.5"
Marvin Hagler: 5'9", 75", +6"
Larry Holmes: 6'3", 81", +6"
Charley Burley: 5'9", 75", +6"
Adonis Stevenson: 5'11", 77", +6"
William Landon Jones : 5'9", 75", +6"
Paul Williams: 6'1", 79", +6"
Tommy Burns: 5'7", 73", +6"
Thomas Hearns: 6'1", 78", +5"
Langford is widely regarded by many boxing historians as the greatest fighter of all time. Langford only stood at 5’7.5” but was able to fight from lightweight to heavyweight defeating many world champions and legends of the time in each weight class. He was able to compensate for his height with his 74” reach which is the average reach of a man who stands at 6’2”. 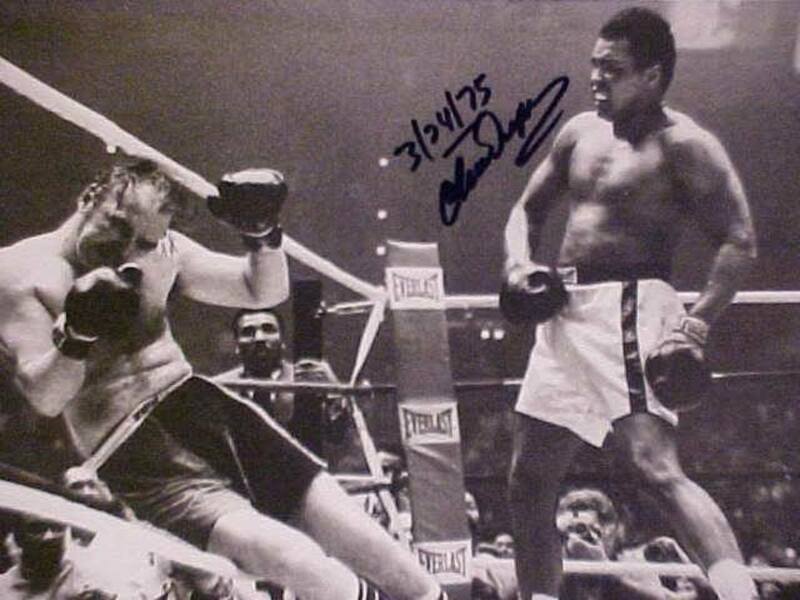 He was the World Colored Heavyweight Champion and was considered as one of the greatest punchers of all time. He was denied a shot at many World Championships, due to the color bar and by the refusal of Jack Johnson, the first African-American World Heavyweight Champion, to fight him. Interestingly, he had the same reach as Jack Johnson although Johnson stood at 6’0.5”. 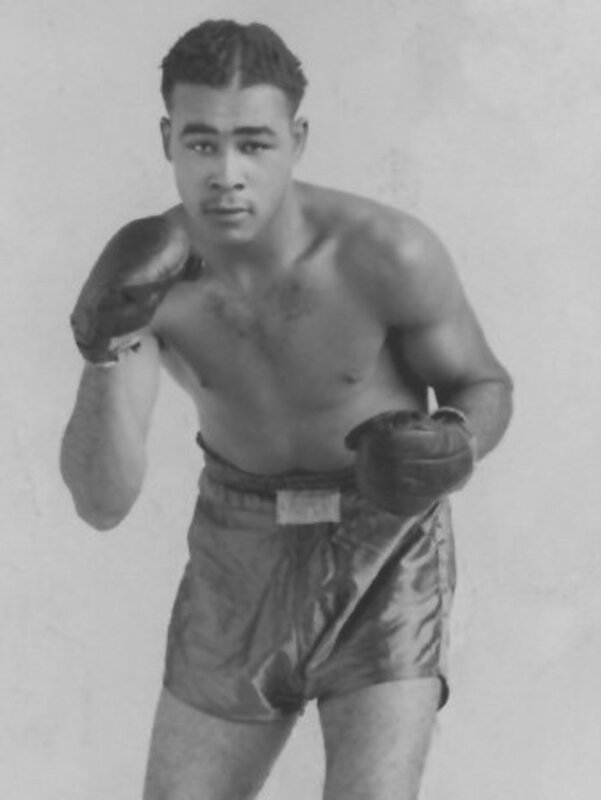 During his fight with World Welterweight Champion, Barbados Joe Walcott, for his title, Langford was able to keep Walcott at a distance with his longer reach. Hearns was regarded as one of the most devastating punchers in boxing history. He is the first boxer to win titles in five weight divisions: welterweight, light middleweight, middleweight, super middleweight and light heavyweight. 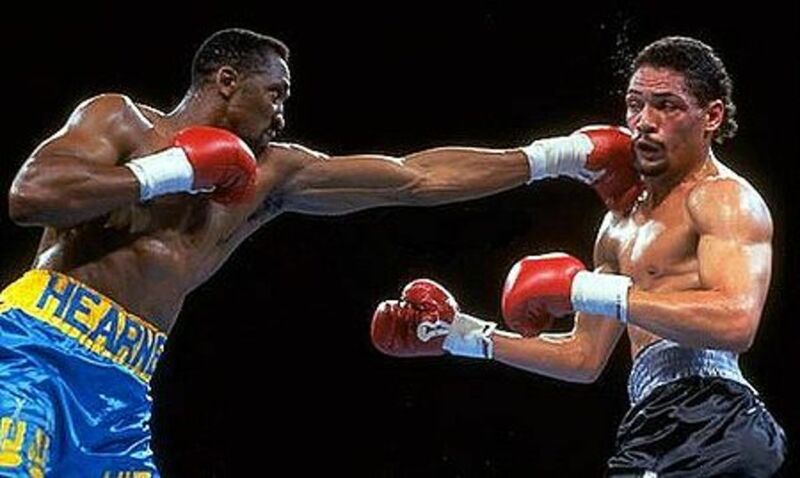 Hearns was never at a reach disadvantage despite moving all the way up to light heavyweight and this was due to his mind-blowing reach which was close to 80”. At 6’1”, his reach was almost 7” greater than his height. Pipino Cuevas, Jeff McCracken, and Dan Ward are examples of boxers who had problems with the tremendous reach of Hearns. They all went into their fight with Hearns giving up at least 6 inches in reach and were eventually knocked out. 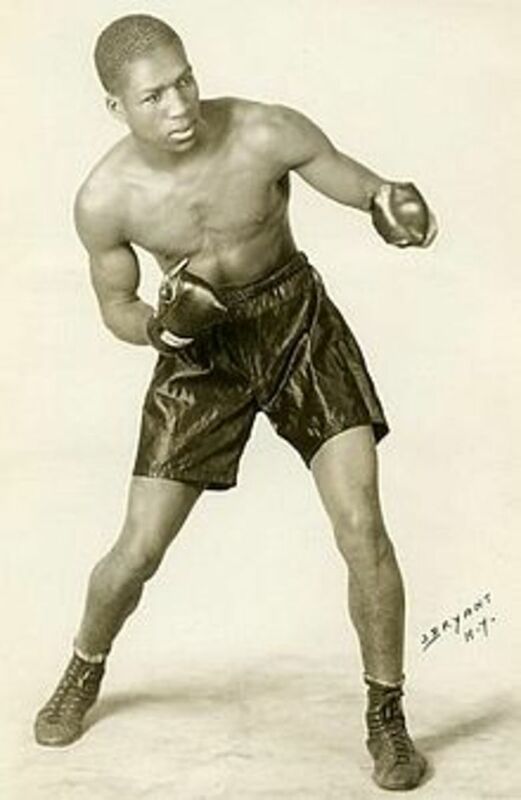 Burley only held two titles in his career: the World Colored Welterweight Championship and the World Colored Middleweight Championship. He was the penultimate holder of both titles. Burley could have gone ahead to win multiple world titles but was never granted a world title shot by any of the world welterweight and world middleweight champions of his era and also was avoided by many of the top white contenders. He was truly a formidable fighter and was ducked by many Hall of Famers, most notably Sugar Ray Robinson (regarded as the best pound for pound fighter of all time). He stood at 5’9” but had a remarkable reach of 75” which is the average reach possessed by a 6’3” man. He utilized his jab to perfection and was able to keep opponents at bay using his reach advantage. Burley went into his fights with Archie Moore and Billy Soose not giving up any reach despite the two being significantly taller than he was. Billy Soose and Archie Moore were defeated and Moore went on to describe Burley as the greatest fighter ever. It’s not a fluke that Hagler holds the highest knockout percentage of all undisputed middleweight champions. Standing at 5’9”, he possesses a mind-boggling reach of 75”. He has the same reach as the average man who stands at 6’3” and was very good at using it to his advantage. He made twelve defenses of the undisputed middleweight title and his reign is the second longest of the last century. 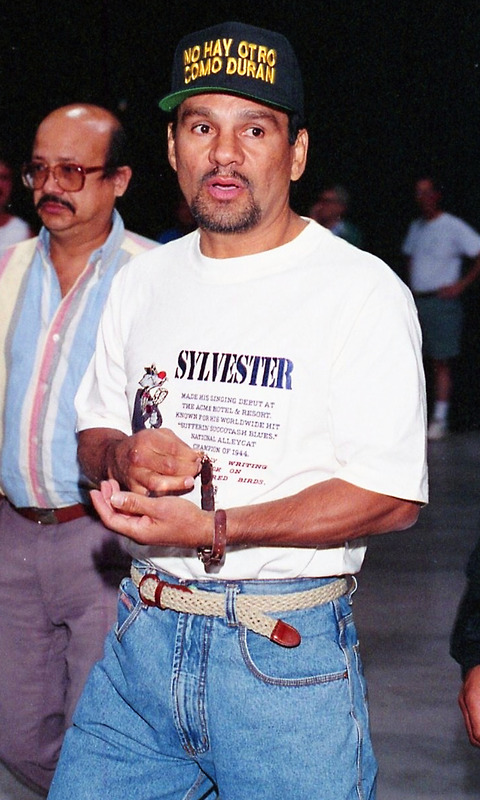 Roberto Duran went into their fight with an 8” reach disadvantage when he went up in weight to challenge Hagler for his middleweight title. 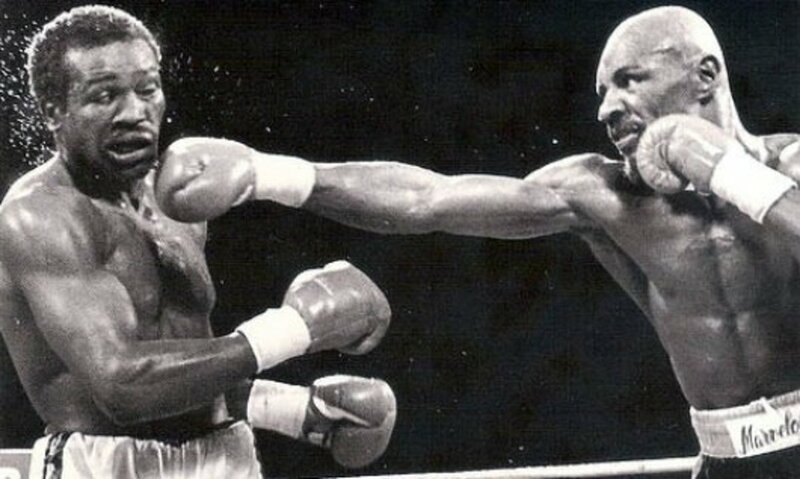 Hagler was very effective with his jab in the early rounds and Duran couldn’t solve it. 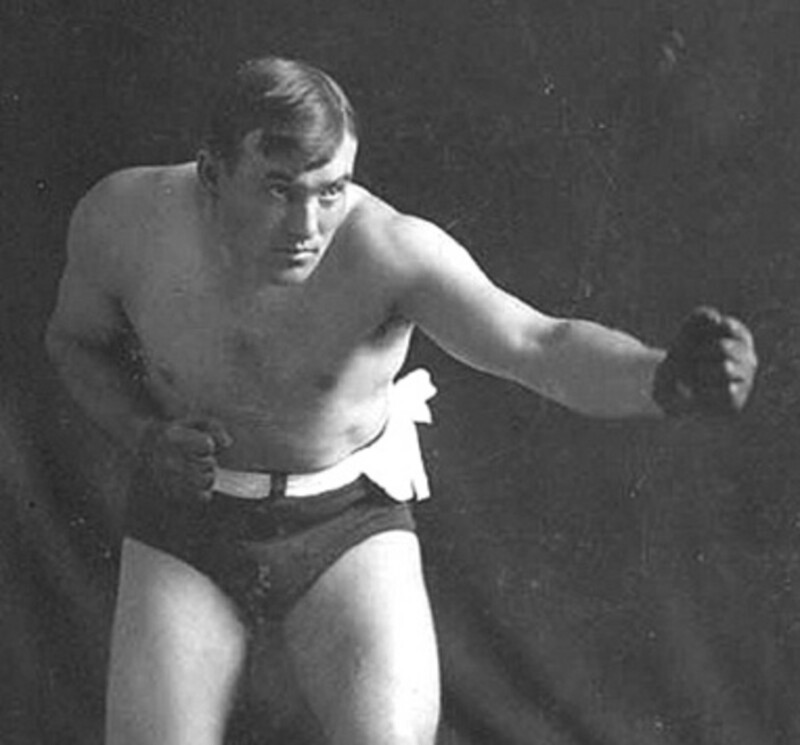 Burns, the only Canadian-born World Heavyweight Boxing Champion, was the shortest heavyweight champion in history and the second lightest. He stood at only 5’7” and weighed around 79 kg in his prime. He was able to compensate for his size with his incredible reach of 73”. That’s the average reach possessed by a 6’1” man. When he met Marvin Hart for the heavyweight championship of the world on February 23, 1906, he was a 2-1 underdog mainly due to his size. Although Marvin was almost 5” taller than Burns, there was very little difference in their reach. Burns won and went on to defend his title eleven times within a period of less than two years. 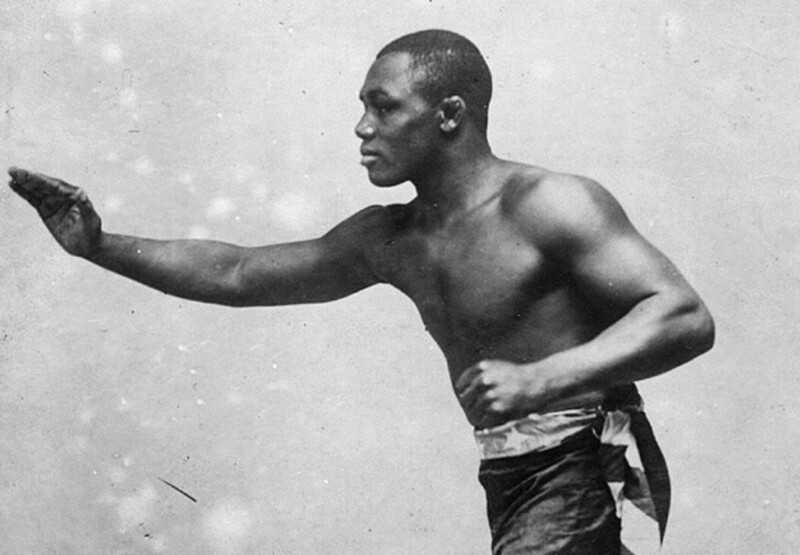 He was the first heavyweight champion to fight with a Jewish challenger and the first to give an African American, Jack Johnson, a crack at his title at a time when white boxers refused to fight black boxers. At 6’1”, the former WBO welterweight champion and former WBO interim junior middleweight title holder, was unusually tall for the three division in which he competed. However, what really set Paul apart was his incredible reach of 79” which is the average reach possessed by a man who stands at 6’7”. Paul’s reach was a huge nightmare for most of his opponents in the ring. Sharmba Mitchell was at a huge 7” reach disadvantage when he fought Williams for the WBC–USNBC and WBO–NABO welterweight titles. Mitchell struggled with the reach of Williams and was forced to fight a style he wasn’t comfortable with. He ended up being KO’d in the 4th round. This 6’6" former Italian professional boxer who was nicknamed the Ambling Alp had an outstanding reach of 85”. That is the same reach as Nikolai Valuev, the tallest and heaviest world champion in boxing history standing at 7’0”. At a time when the average height in Italy was approximately 5 ft 5 in (1.65 m) and in the United States 5 ft 7 in (1.70 m), Carnera was a towering giant as compared to other heavyweights and enjoyed a sizable reach advantage over most of his rivals. When he faced Jack Sharkey for the World Heavyweight championship, on June 29, 1933, his 13” reach advantage proved too much for Sharkey to handle and he was knocked out in the sixth round. The man who referred to himself as "the pugilist specialist" is regarded by many to be one of the greatest heavyweight boxers of all time. 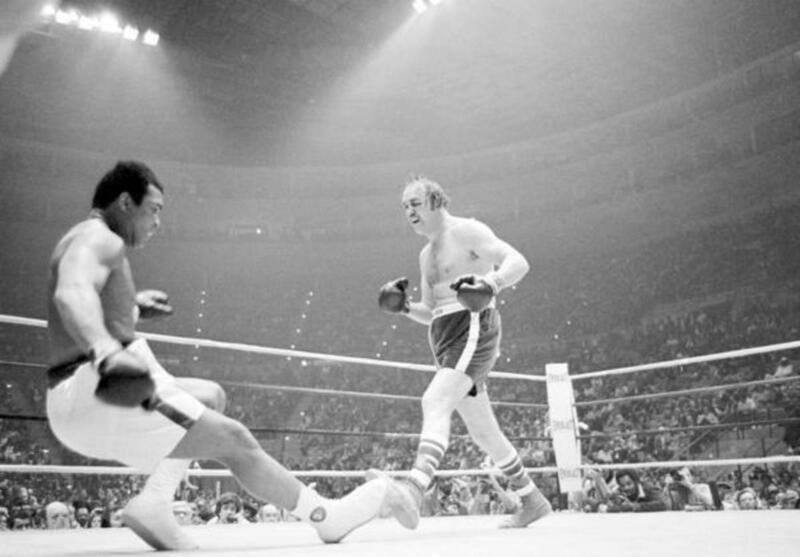 At his boxing prime, Lewis stood at 6’5” and had whopping 84” reach. That’s the average reach of a 7’0” man. He particularly made use of his reach during his first fight with Evander Holyfield, keeping Holyfield off balance with a long jab. Lewis out-jabbed Holyfield 137 to 52. David Tua couldn’t get in range during his fight with Lewis. Tua had a 15” reach disadvantage and Lewis dominated behind his jab. 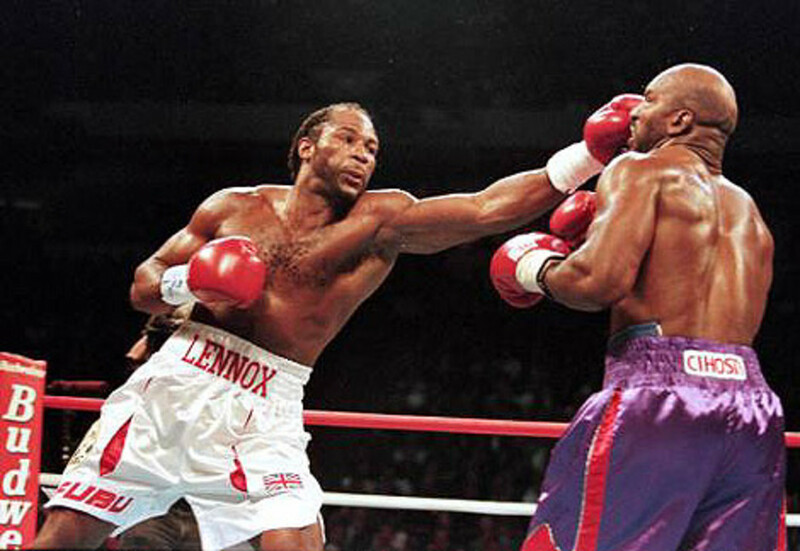 Tyson encountered a similar situation in his fight with Lewis. Having lost his footwork and speed that allowed him to get inside bigger guys with age, Lewis was able to easily keep Tyson out of range with his 13” reach advantage. This two-time former IBF cruiserweight champion who stands at 6’3” has an astonishing reach of 83”. His reach is 7” greater than the average man his size. Cunningham who was a National Golden Gloves Champion at 178 lb was able to take full advantage of his reach in most of his fights. 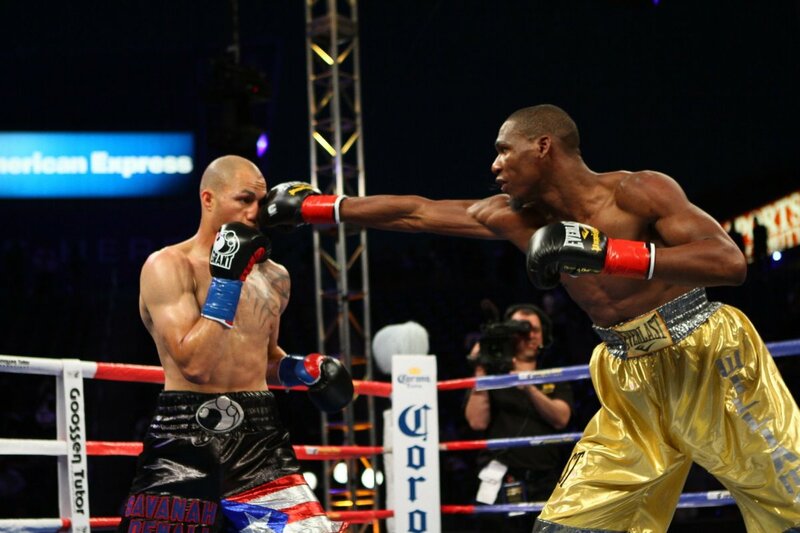 Cunningham was able to stay on the outside and use his jab effectively during his fight with Natu Visinia. Larry’s left jab is rated as the best in the history of boxing and his incredible reach of 81” greatly contributed to this. That’s the average reach of a 6’9” man but astonishingly Larry was 6’3”. The only boxer to have stopped Mohammed Ali made 20 successful title defenses. In his fight with Jamie Howe, Holmes had an astounding 8” reach advantage in his favor. 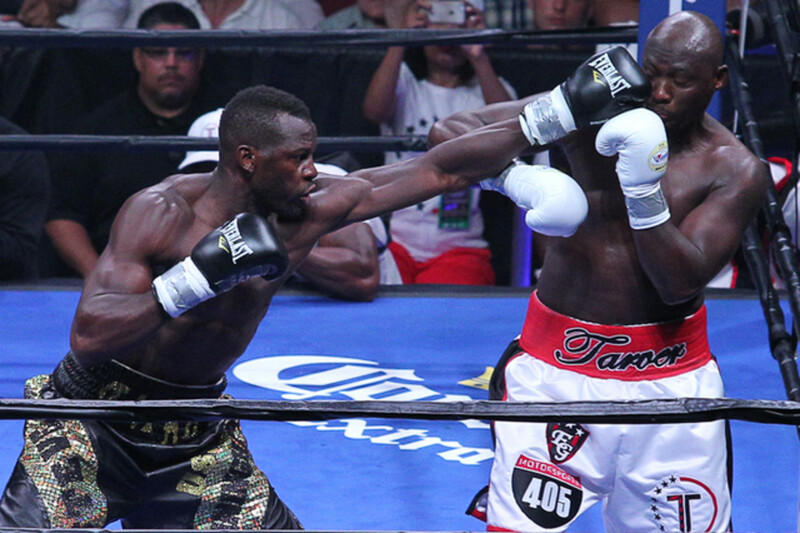 Holmes put his tremendous reach to work and the fight was stopped in the very first round. 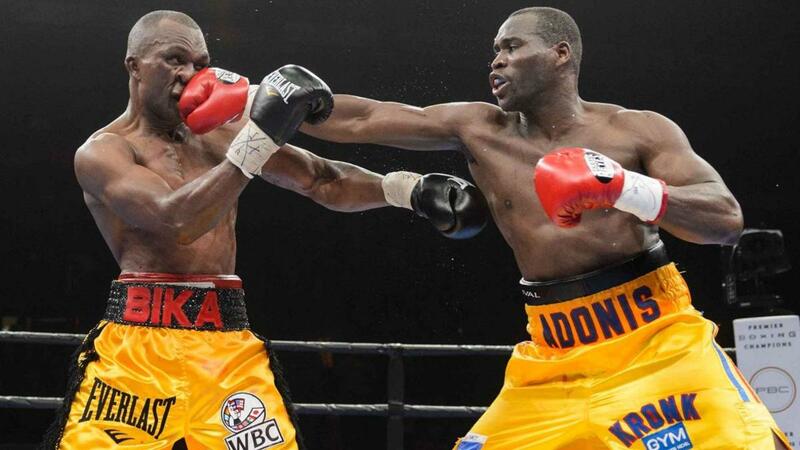 Landon Jones held the NBA Middleweight Boxing Championship of the World. He was nicknamed "Gorilla" because of his exceptional reach. He stood at 5’9” but possessed a mind-blowing reach of 75”. His reach was 6” longer than the average man his size. Jones was never knocked out although he himself won by 52 knockouts out of 101 wins over 141 total fights. 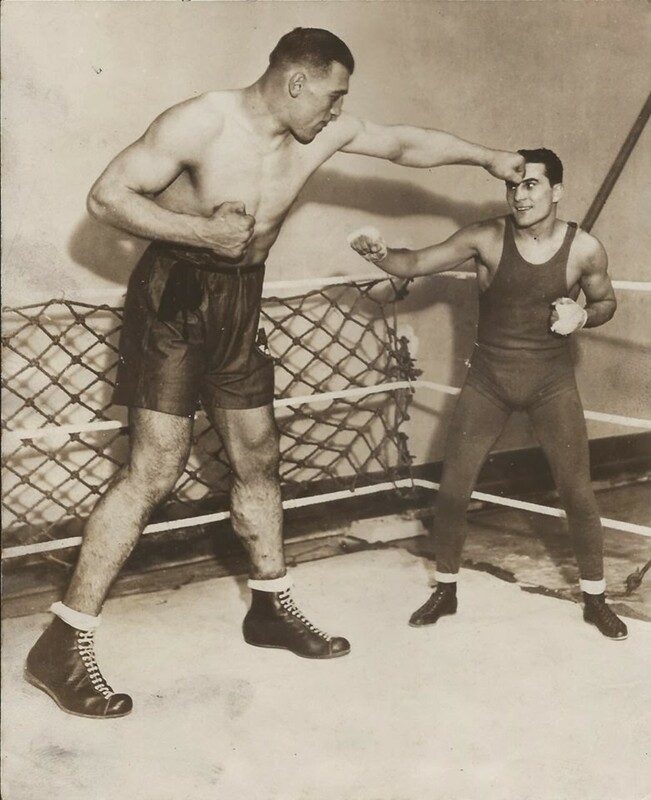 During his fight with Oddone Piazza for the vacant National Boxing Association World Middleweight Title, he had a reasonable reach advantage over him despite Piazza being taller. Jones won the title but lost it later that year. He also enjoyed an outrageous 8” reach advantage over Al Mello in his two wins over him. 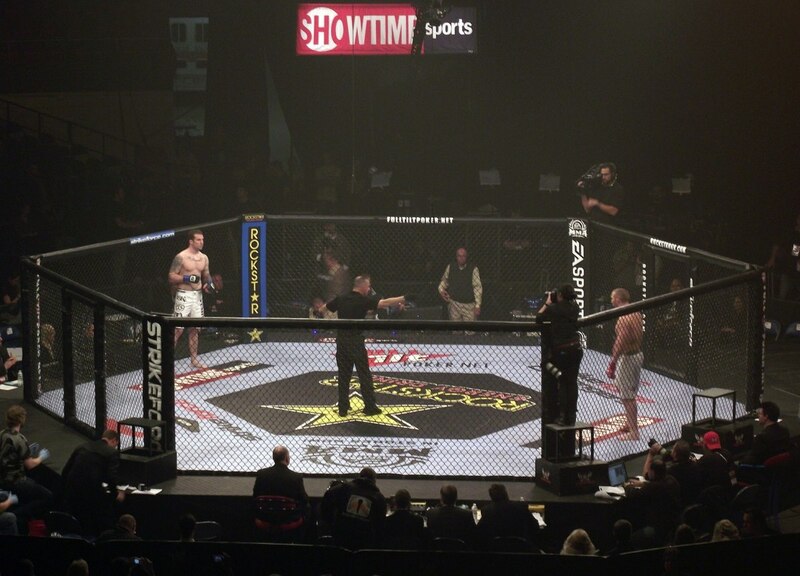 Douglas pulled off one of the biggest upset in the history of heavyweight championship fights when he knocked out Mike Tyson to win the undisputed heavyweight title. The undefeated Tyson had dominated the division for 3 years, picking apart any opponent that was put in front of him. Nobody gave Douglas a dog’s chance when he was heading into that fight. The only casino to make odds for the fight had Douglas as a 42-to-1 underdog. All others declined to do so as they considered the fight a foregone conclusion. At 6’3.5”, Douglas had an astonishing reach for a man his size. His reach was 83” which was the average reach possessed by a 6’11”man. Douglas dominated his fight with Mike Tyson from the beginning, using his 12” reach advantage to perfection. 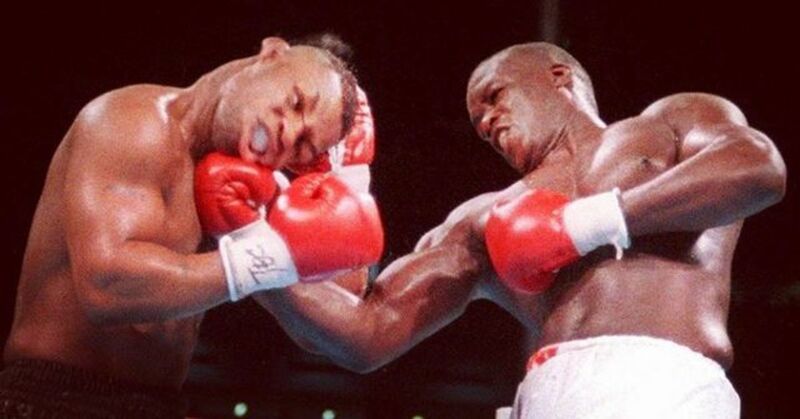 He seemingly hit Tyson at will with jabs and right hands and danced out of range of Tyson's own punches. 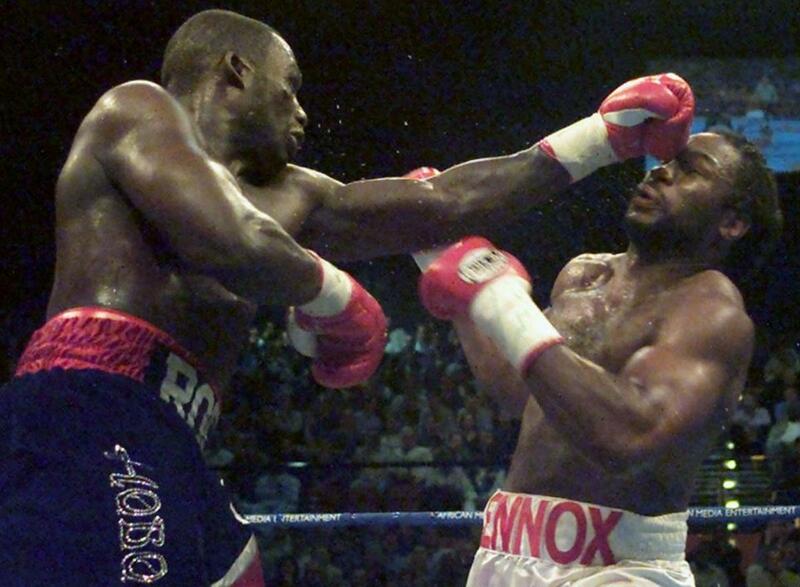 By the fifth round, Tyson's left eye was swelling shut from Douglas's many right jabs. In the tenth round, the severe punishment Douglas had inflicted on Tyson finally began to take its toll on the champion and Tyson was knocked out for the first time in his career. 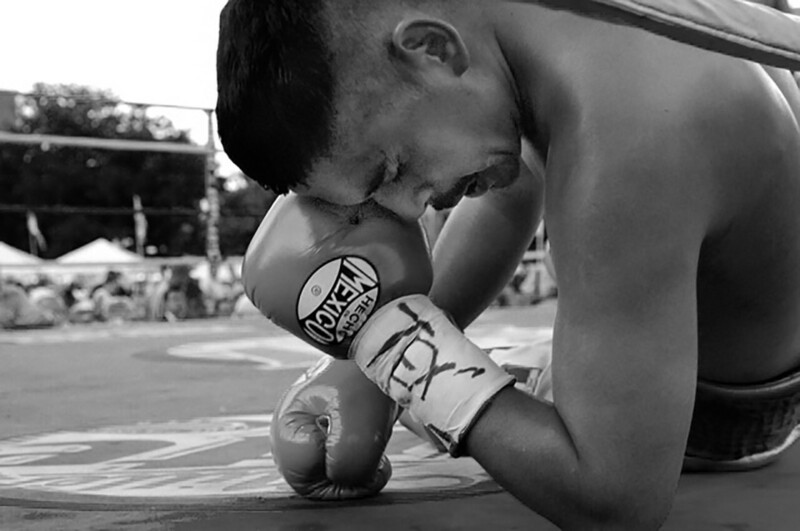 Rahman is one of the devastating knockout artists to step in the ring. He has a power jab like Sonny Liston and his incredible reach of 82” greatly contributes to this. The two-time former world heavyweight champion stands at 6’2” but has a reach that rivals the average reach of a 6’10” man. He made use of all his natural advantages in most of his fights. He enjoyed a huge reach advantage in his fights with Tui Toia and Herman Delgado. Both Toia and Delgado couldn’t cope with the incredible reach difference and were knocked out in the first and second round respectively. This explosive hard hitting southpaw has gained a reputation as being one of the best knockout artists in the sport today. He has held the WBC and lineal light-heavyweight titles since 2013, having previously held the Ring magazine light-heavyweight title from 2013 to 2015. At 5’11", his reach is 6” longer than the average man his height. He has really learned to use his 77” reach to fight exclusively from the outside and has controlled almost everyone he has been in the ring with. He is very good at using his long right jab to set up his left hand, which is his power punch. He employed this strategy perfectly in his fight with Derek Edwards. Liston has been consistently ranked among the top ten greatest heavyweights of all time. He became world heavyweight champion in 1962 and also became the inaugural WBC heavyweight champion. Though not particularly tall for a heavyweight at 6 ft 0.5 in, he had an exceptionally powerful physique and disproportionate reach at 84 inches. 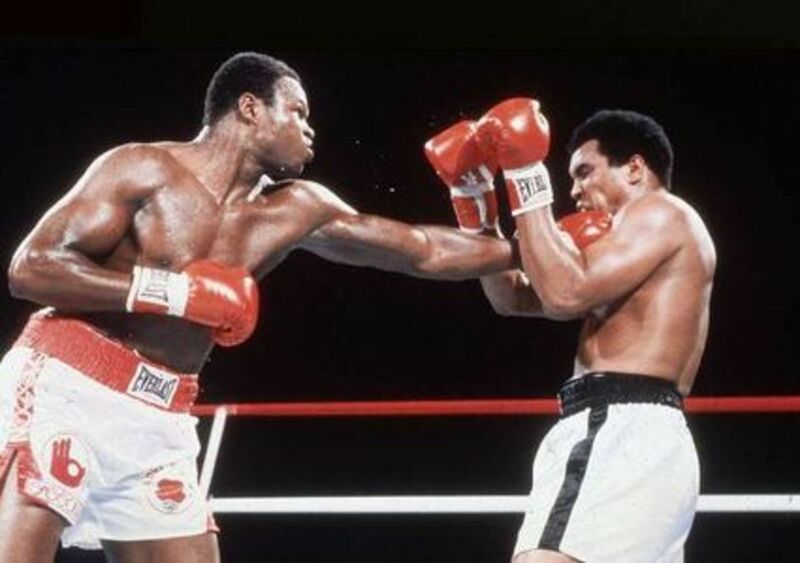 This outrageous reach (equivalent to the average reach of a 7’0” man) played a huge factor in him having the greatest jab in the history of the heavyweight division. He had a left jab like the pistons in a locomotive and his sparring partners said his left jab felt as if you were been hit with a telephone pole. His left jab could go through brick walls and he could knock his opponents out with it. Another fascinating thing about Liston was his sledgehammer fists which contributed to his 84” reach. 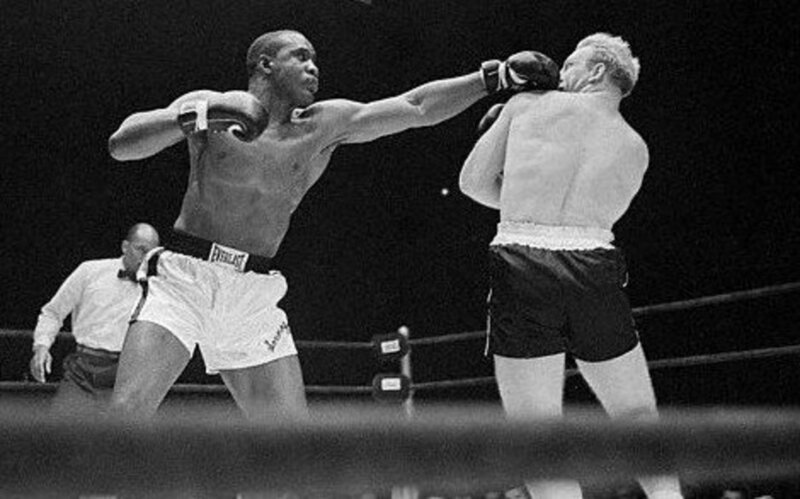 Liston’s fists measured 15 inches around, the largest of any heavyweight champion. His title fight with Floyd Patterson for the world heavyweight champion was a total mismatch. 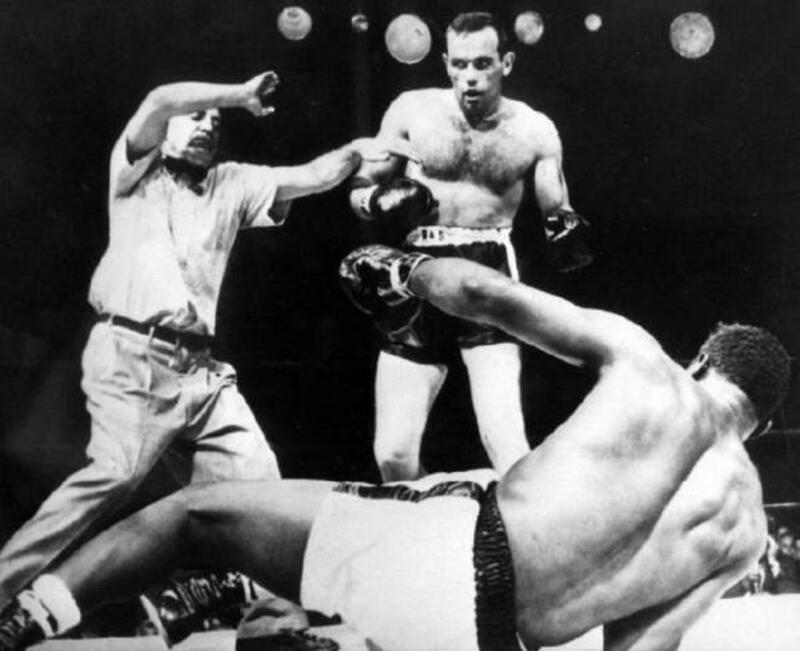 Liston, with a 25-pound weight advantage (214 lb (97 kg) to 189 lb (86 kg)) and a 13” reach advantage, knocked out Patterson in the first round, putting him down for the count. Which one of these boxers do you think utilised his reach the most? How long was Mike Tyson's reach? Mike Tyson only had a 71-inch reach. He went into most of his fights with both a height and a reach disadvantage. However, he was able to compensate for this with his incredible speed and power. How long is Floyd Mayweather Jr's reach? Floyd Mayweather Jr has a reach of 72 inches. At 5'8", the average reach for someone his height should be around 68". Remarkably, Mayweather Jr has a reach which is equivalent to that of a 6'0" tall man. How long is Anthony Joshua's reach? Anthony Joshua has a reach of 82 inches which is around 4 inches longer than the average man his height. At 6'6", one would expect his reach to be around 78 inches. How long was Muhammad Ali's reach? Muhammad Ali possessed a reach of 78 inches. At 6'3", the average reach for someone his height is around 75". Surprisingly, Ali's reach was equivalent to that of a 6'6" man. How long is the reach of Deontay Wilder? Deontay Wilder possesses a reach of 83 inches despite standing at 6'7". The average reach for someone his height is usually 79 inches. How long is the reach of Tyson Fury? Tyson Fury has a reach of 85 inches. At 6'9", his reach is 4 inches longer than someone his height. How long is the reach of Manny Pacquiao? Manny Pacquiao has a reach of 67 inches which is slightly longer than the average reach for his height. He stands at ‎5 ft 5 1⁄2 in and the average reach for someone this height is around 65.5 inches.